If you’re looking for an experienced team of skilled professionals to design, build and install a sauna and steam room in your spa or leisure facility, turn to JC Leisure Solutions. As a well-known brand who have many years of experience working with major UK spa, hotel and leisure operators, the team at JC Leisure are certain to provide you with a wellness solution which exceeds your expectations. Here at JC Leisure, we have an in-house designer who can offer advice and inspiration to turn your bespoke sauna and steam room ideas into a reality. Furthermore, the use of premium materials skillfully built by our expert team with a focus on longevity and durability mean that there’s truly no better choice. Alongside installing a new sauna and steam room from scratch, the team can also refurbish any existing facilities that you may have in order to provide a sleek and polished look. A sauna and steam room fit naturally amongst other health facilities, and at JCL, we not only design, build and install the new additions to your facilities, but we will also ensure that we set out a planned maintenance schedule where required. This will help to ensure that your steam room and saunas are hygienic and well-maintained in order to prolong their life and remain compliant. Get a free quotation for your sauna and steam room builds today. Saunas and steam rooms can provide a range of health benefits for their users, including improvements in circulation, stress reduction, lower blood pressure, skin health and much more. Wellness is growing in demand across the UK, meaning there’s no better time to introduce sauna and steam room builds into your facilities. The introduction of a sauna or steam room into your facility can also help to promote your businesses to a larger range of customers as the purpose and overall use of saunas and steam rooms continue to evolve. Whether a spa, wellness centre, leisure facility or hotel, our bespoke sauna and steam room builds are designed to match all of your specifications. At JC Leisure, we have a dedicated team who continually source some of the most appropriate materials for your steam room and sauna from some of the most sought-after locations around the world. With our sauna builds designed from a collection of traditional kiln dried Scandinavian wood and integrating experience enhancements such as LED lights and aroma infusions, you can find a design, build and installation service to suit every budget with JC Leisure. Having designed and built wellness facilities for the likes of Handpicked Hotels, David Lloyd, Marriott Hotels and more, our experience means the build and installation of saunas and steam rooms is second to none. With state-of-the-art control systems, brand new fixtures which are tailored to your exact requirements and the highest level of service guaranteed, turn to JCL today. When you choose JC Leisure Solutions for the build and installation of your new sauna or steam room, you can benefit from a fully comprehensive after sales team. In addition to this, you can opt for a planned maintenance plan depending on your requirements and budget and can also benefit from 24/7 reactive maintenance services, available 365 days per year. This allows us to maintain the health, safety and security of your facilities and to ensure optimal performance. We will also carry out a full inspection to ensure that your facilities remain compliant with health and safety regulations. With free technical help also available all year round and training where required, adding saunas and steam rooms to your facilities is simple. 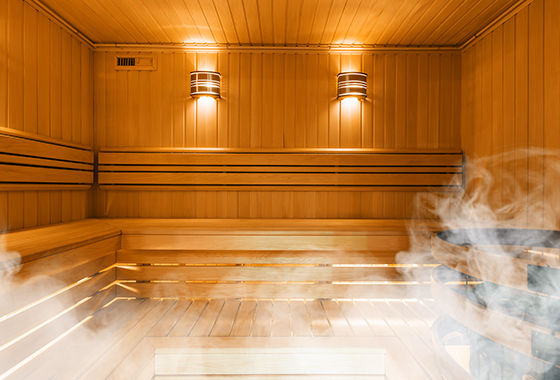 To find out more about the design, build and installation process of our sauna and steam room service, contact a member of our expert team today.